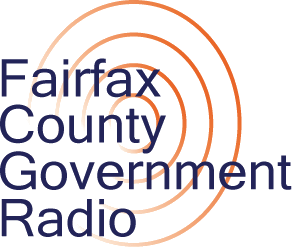 County Government Remains Open Today; Authorizes Unscheduled Leave at 3 p.m.
Burke Centre Library and Patrick Henry Library closed at 4 p.m. Other Fairfax County Public Library branches will close at 6 p.m.
Park Authority programs held at Fairfax County Public School locations are cancelled today from 4 p.m. on, including evening activities. Fairfax County Government offices will remain open today, Tuesday, Jan. 29, however, employees have been granted unscheduled leave beginning at 3 p.m. through the close of business today. 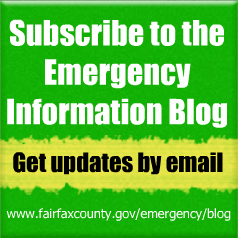 Some county programs and services have been affected by the forecasted weather — see our earlier blog post for details. At this time no decision has been made regarding tomorrow’s operating status. As always, we will be following the forecasts and road conditions closely and will notify you as soon as possible if any status change is planned. The National Weather Service Winter Weather Advisory is in effect from 3 p.m. today until midnight tonight. A Winter Weather Advisory for snow means periods of snow will cause primarily travel difficulties. Expect snow covered roads and limited visibilities, and use caution while driving. Commuters should plan on slippery road conditions. Temperatures will fall below freezing during the evening rush, causing the potential for wet or slushy surfaces to freeze. When venturing outside, watch your first few steps taken on steps, sidewalks, and driveways, which could be icy and slippery, increasing your risk of a fall. The forecast calls for intermittent light snow and rain developing through about 2 p.m. this afternoon. A steadier snow will develop between 2-4 p.m. and continue through the evening rush before ending between 7-9 p.m. Total snowfall accumulation around one inch is expected.